The Tele Vue TV-85's mix of aperture and small physical size makes it a wonderful "go anywhere, do anything," crossover instrument_êàwith Tele Vue quality, of course. With APO performance and airline portability, the Tele Vue-85 has been delighting astronomy and birding enthusiasts and reviewers alike. "Eye-popping performance that raises the standard of excellence for highly portable instruments." Evaluation of double-stars, lunar detail, deep sky and photography were reported in Sky and Telescope as: "Truly awesome! ...Incredible!...the view almost blew me off my chair!..." The conclusion, "...an extremely powerful, compact instrument capable of delivering stunning images of the universe." 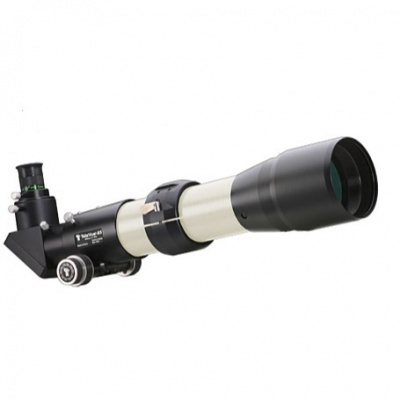 This excellent scope was reviewed in the September issue of Sky and Telescope. The title was: A Sharp Scope for People on the Go - Redefining the standard of excellence for small aperture refractors. The reviewer thoroughly tested by day and night and took some impressive photographs. His final paragraph summarises his findings thus: "The Tele Vue 85mm refractor is truly an incredible instrument with superb, well-corrected optics. The scope's mechanical construction is also first class all the way. Whether you are travelling half way around the world to photograph a total solar eclipse or just casually observing from your backyard, the Tele Vue 85 offers today's amateurs an extremely powerful, compact instrument capable of delivering stunning images of the universe around us. 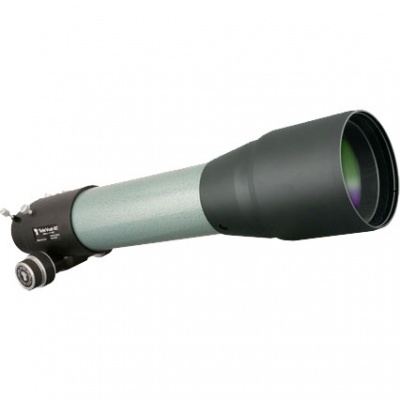 This scope is a real gem!" The Better View Desired website reviewer summed up the Tele Vue "experience" when he said he would choose the Tele Vue-85, "...to really enjoy the incredible beauty of the living birds... And, even now, every time I look at a bird through one of the exceptional conventional spotting scopes, I'll be thinking: 'I wonder what this would look like through the Tele Vue-85? I wonder what this bird really looks like?'" Yes, pure enjoyment of nature's beauty without awareness of a thing in between. 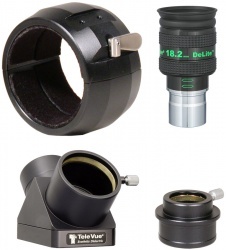 Tele Vue-85 is an air spaced doublet APO, 85mm aperture, f/7, 600mm focal length. Custom fitted case fits TV-85 only. Dual hand-carry straps with padded palm closure. Ring Mount and Starbeam friendly. Foam cutouts for Starbeam, 1 x 2" eyepiece, & 5 x 1.25" eyepieces. Approximate maximum exterior dimensions (excluding handles and strap): 23.25 x 9 x 5.25-inches (60 x 23 x 14-cm). Approximate empty weight: 1.85-lb (0.8-kg). Optically superb, build quality fantastic, small enough to use on a camera tripod with a video head. 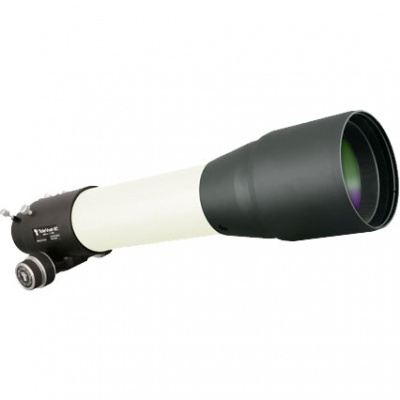 This scope has really changed my observing habits, I can honestly say that I have used it more times in the last month than I have used my other scope in the last three years, it's just so simple and quick to set up, admittedly this will be the case with any small refractor, but not any small refractor is this good. Hi Paul, thank you very much for the review! We agree that there's not much that beats Tele Vue optically, and nobody that does it in a package that's so user-friendly and transportable! A truly great grab-and-go.